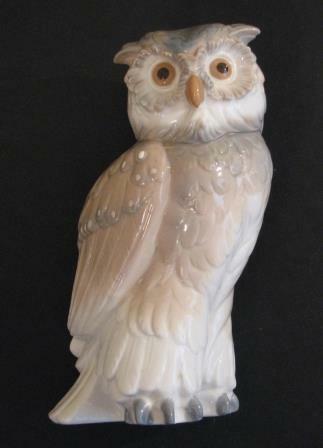 Lladro - Owl - Nao. 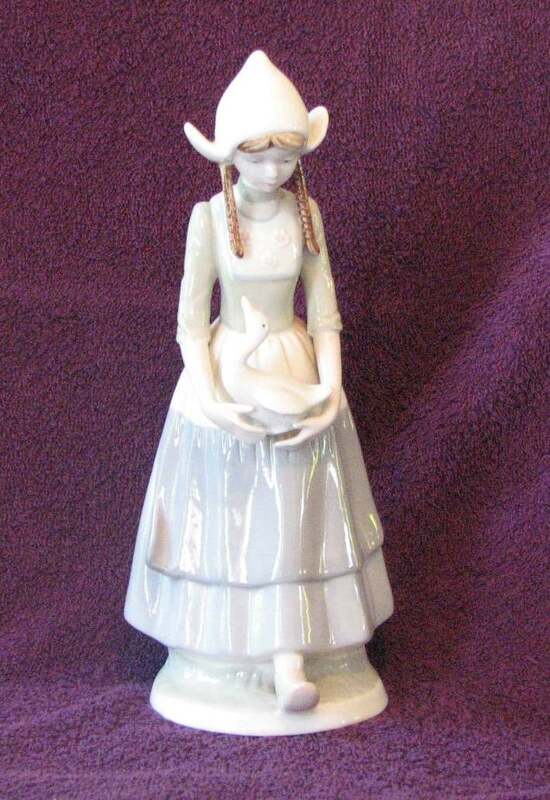 Lladro Hand Made In Spain Daisa 1970. 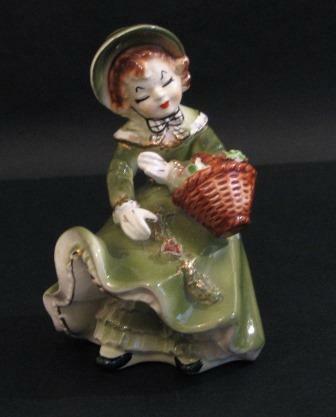 Porcelain Figurine, Girl with Flower Basket. 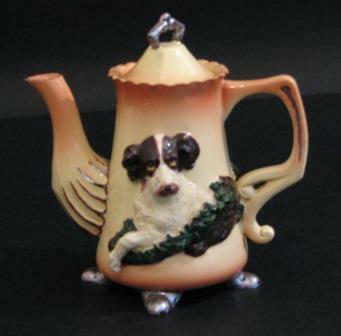 Dog Tea Pot - Item 6-143. 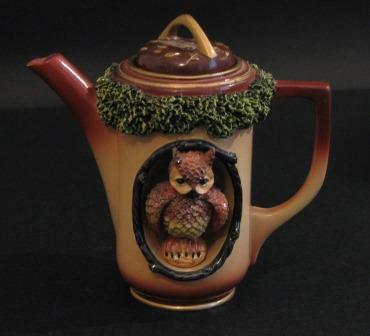 Feathered Friend - Owl - Item 6-85. 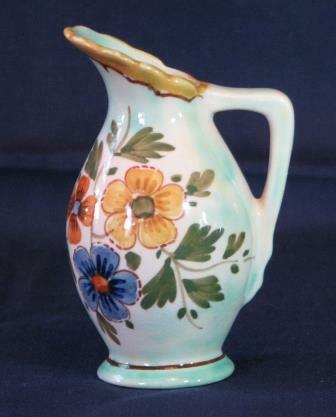 Description: Ceramic Floral Decorated Ornamental Beer Tap. 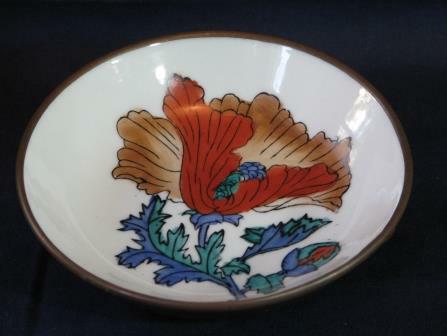 China Copper Backed Ceramic Plate. 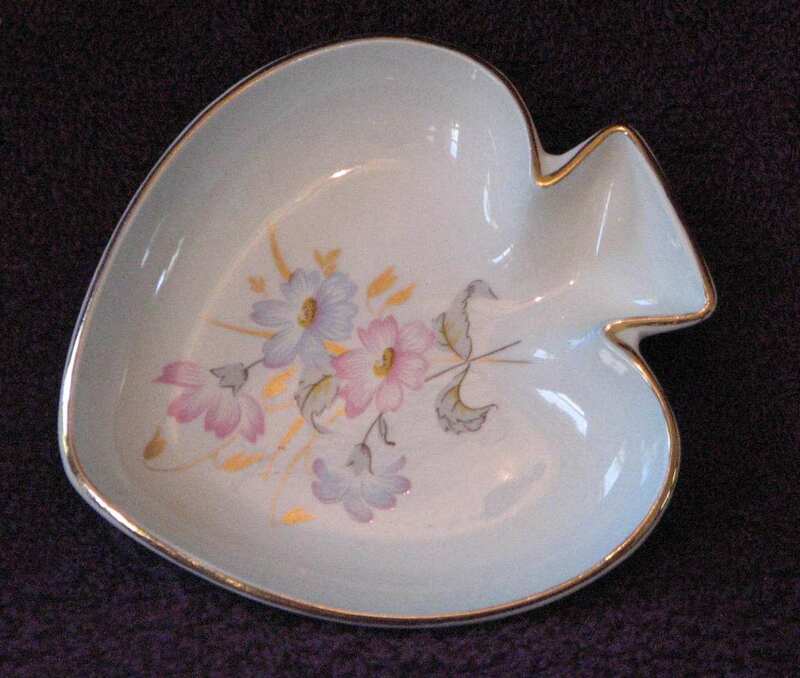 Ceramic Floral Design Wall Plate. 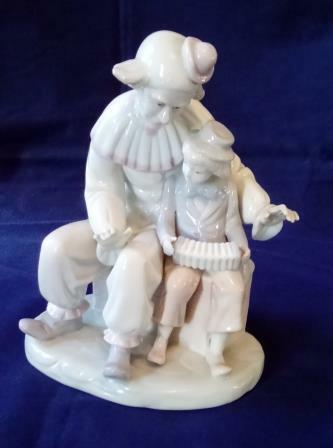 Title: Couple - Lady Sitting. 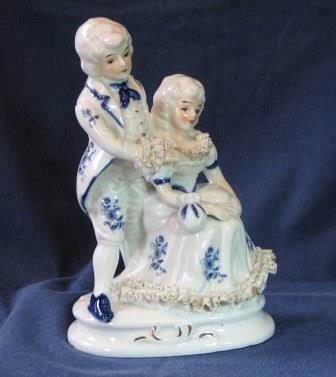 Detail: Blue and White Figurine of Couple. Condition: Fair - slight knock on Frill of Dress. 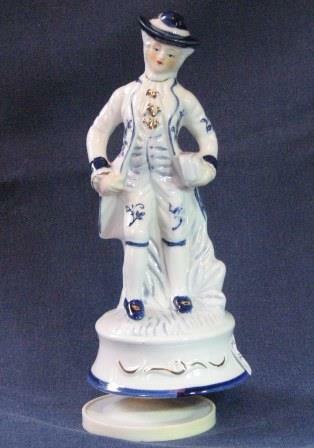 Manufacturer: Delft Blue Hand painted 750. 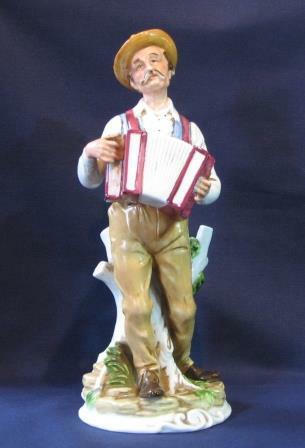 Title: Man With Lyre Figurine. 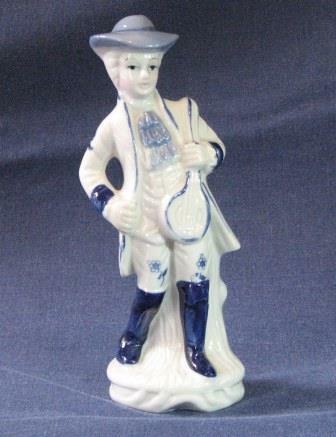 Detail: Blue and White ceramic figurine, Man with Lyre. 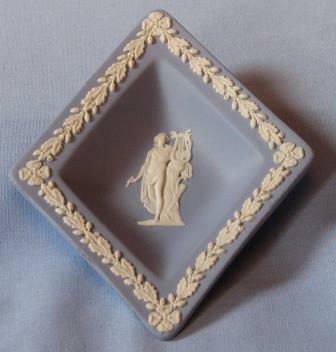 Detail: 2 Ladies and 1 Man withServing Tray. Height of Ladies = 8cm. 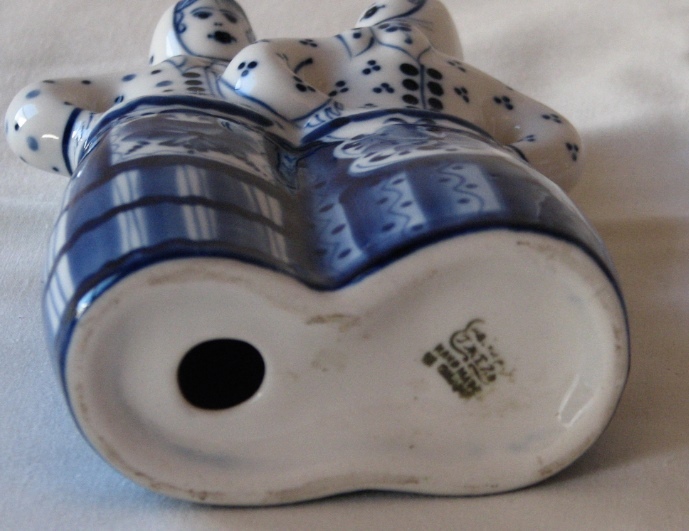 Detail: Rotating Musical Man with Music, wind up Action. 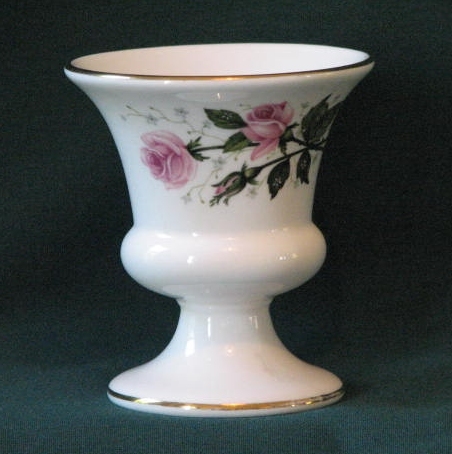 Manufacturer: CKR 218 marking on base. 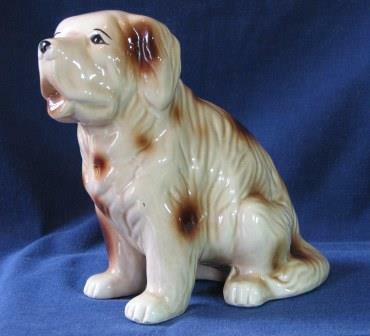 Detail: Magnificent example of St. Bernard. 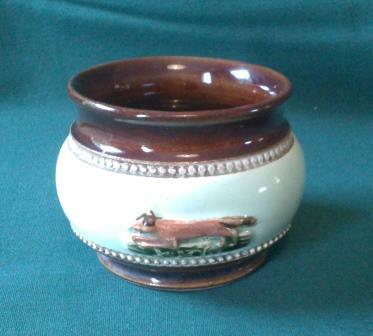 Title: Bourne Denby Small Pot. 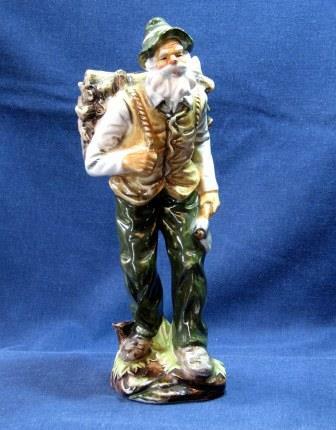 Description: Pale Green with Hunting Scene. 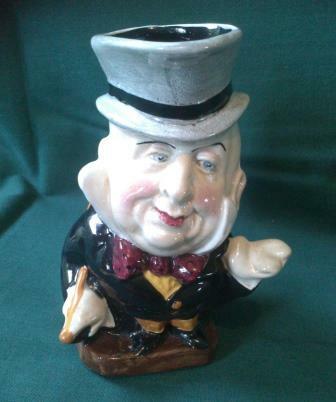 Title: Mr Micawber Toby Jug. 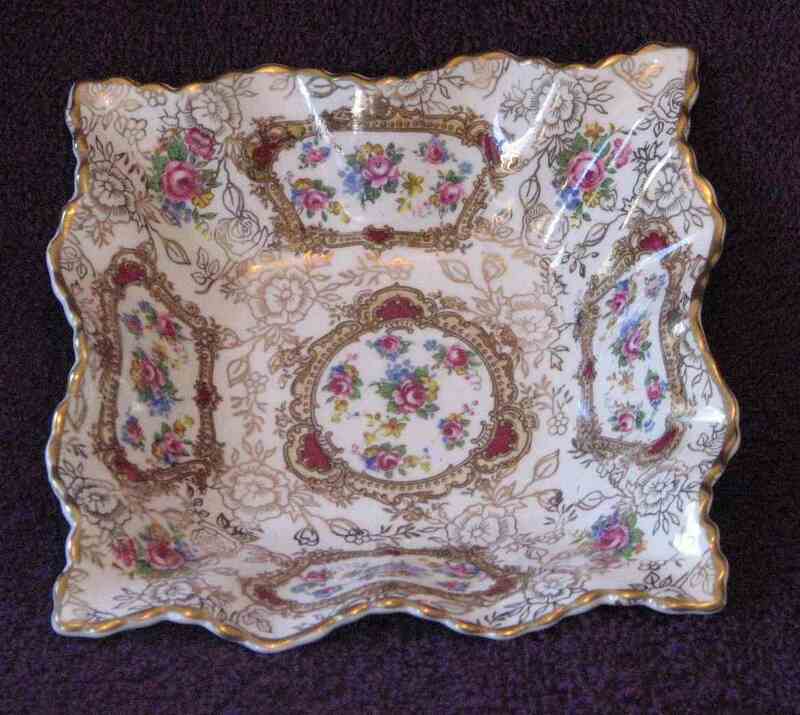 Description: Burleigh Ware England, Burslem. 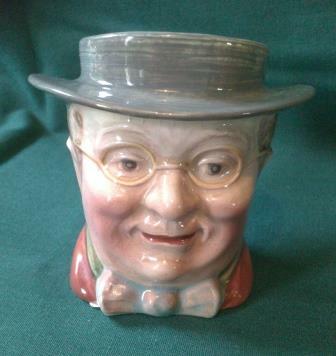 Title: Mr Pickwick Toby Jug. 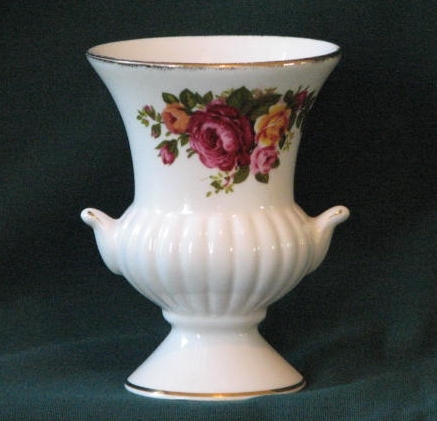 Manufacturer: Lu Pao, Fine Bone China. 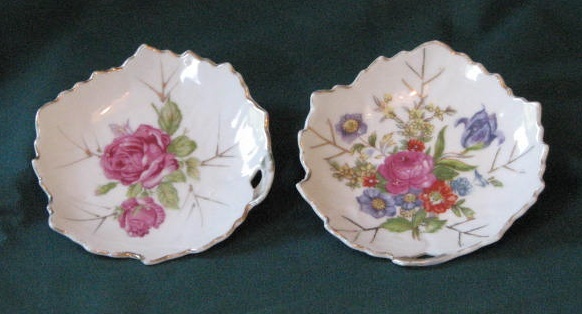 Set of 2 Trinket Dishes. 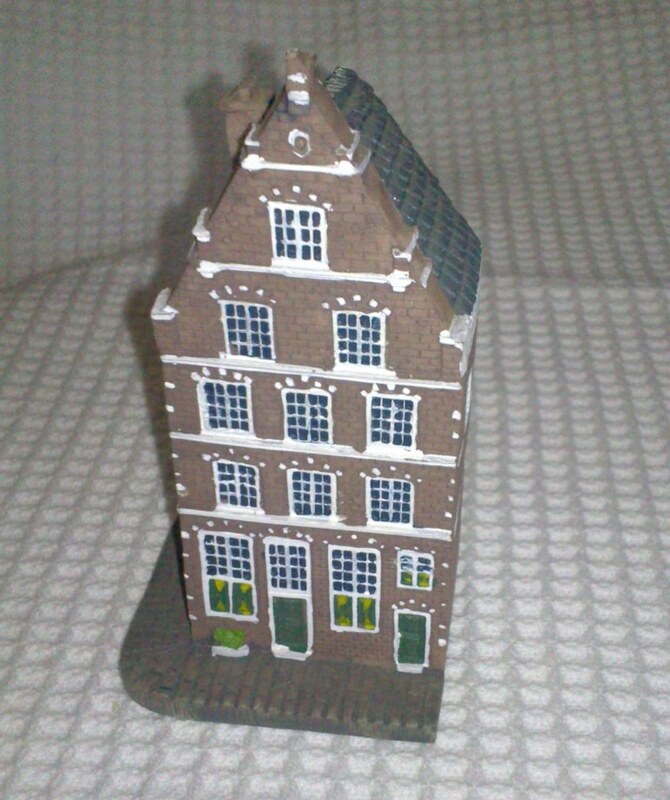 Dutch Style Miniature House - Brown. 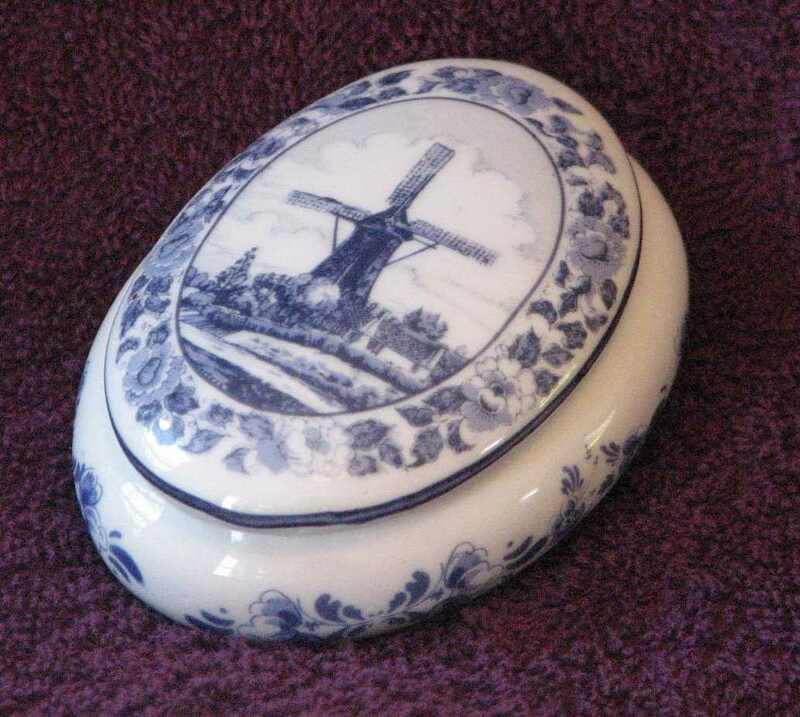 Trinket Pot with Extra lid. 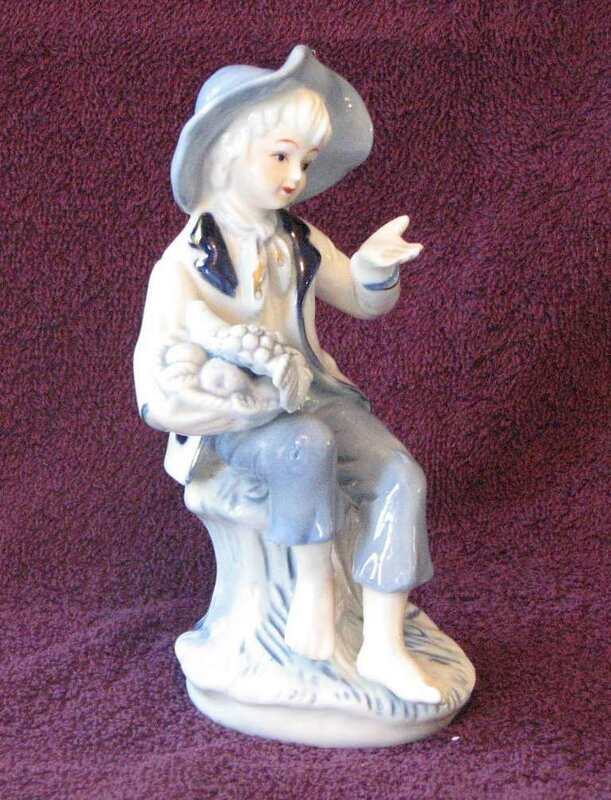 Little Boy Blue with Fruit Basket. 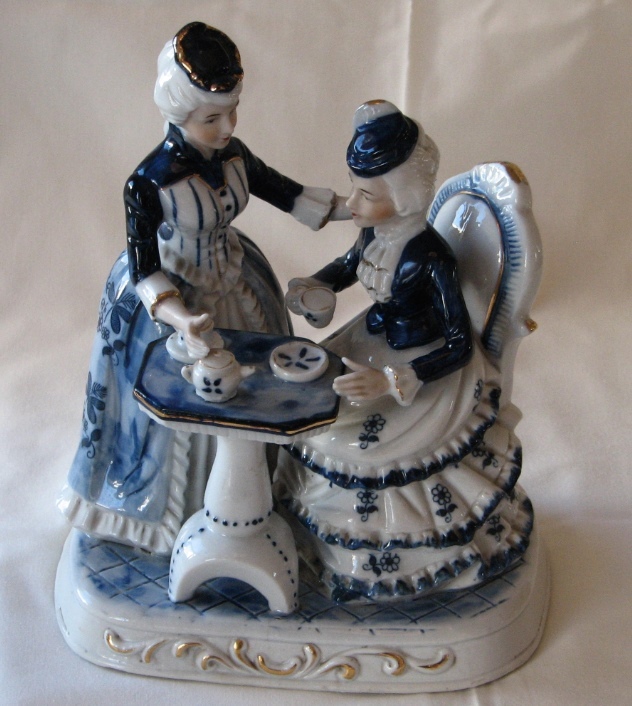 Detail: Blue and White ladies having tea with wonderful detail. 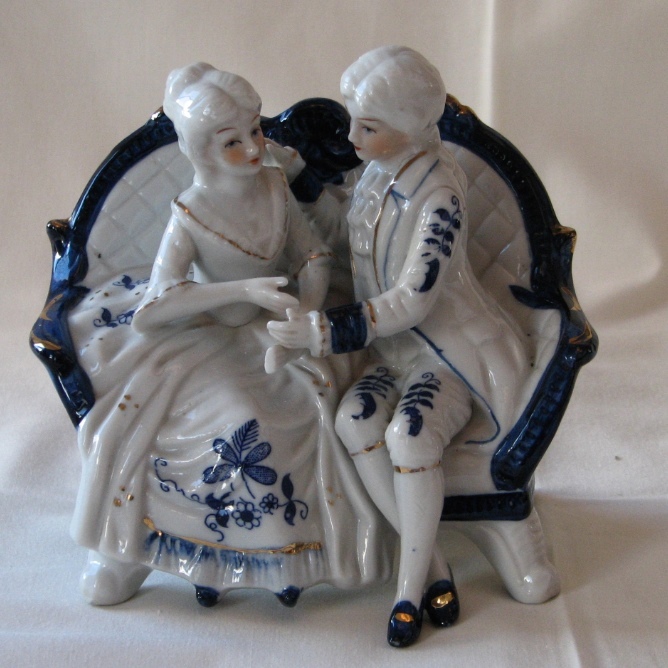 Detail: Blue and White courting couple. 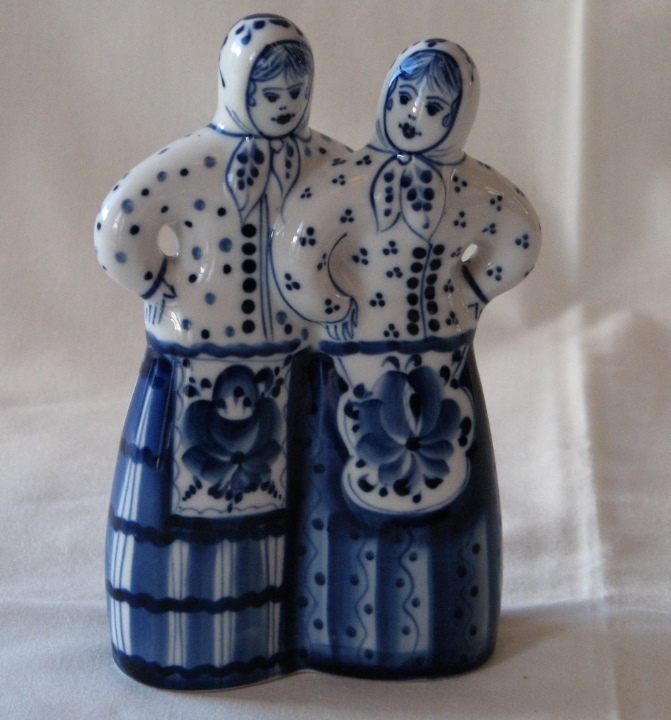 Detail: Blue and White ladies dancing, European origin. Manufacturers stamp is unclear. Royal Bavaria Germany # 1062. 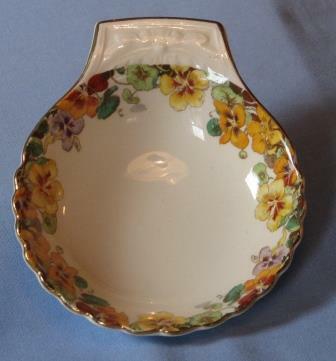 James Kent Dish - With Handles. 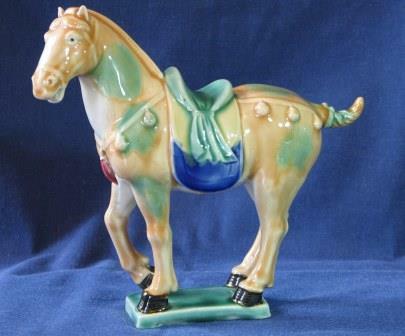 Manufactured By: James Kent Longton England. 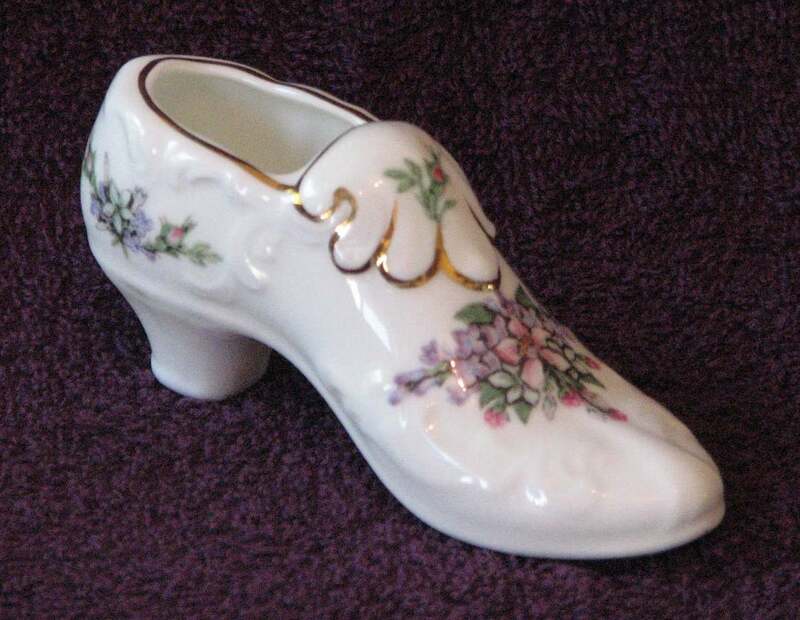 Manufactured By: Royal Albert, Bone China, England. 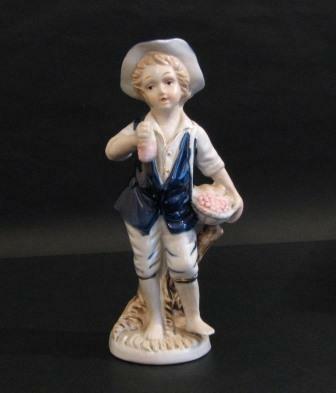 Manufactured By: Wedgwood, Bone China, England. 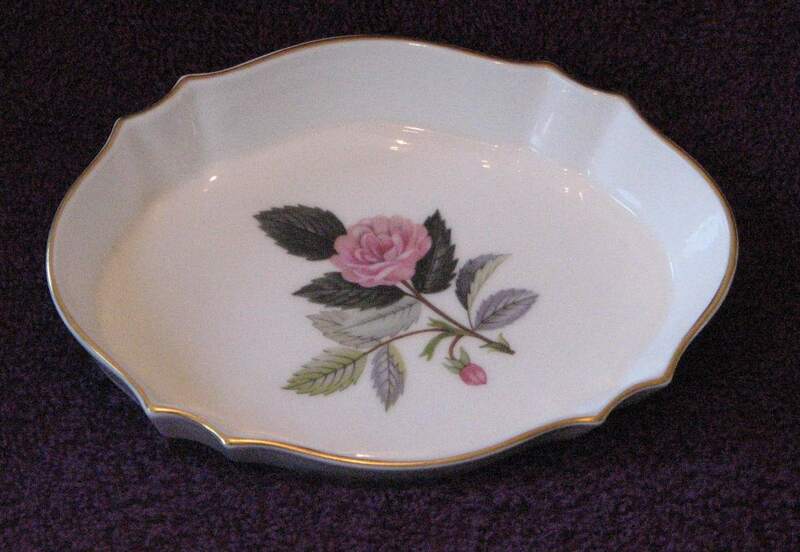 Manufactured By: Royal Worcester Palissy England. 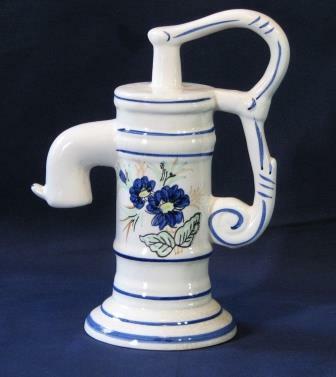 Made in Bavaria, Western Germany. 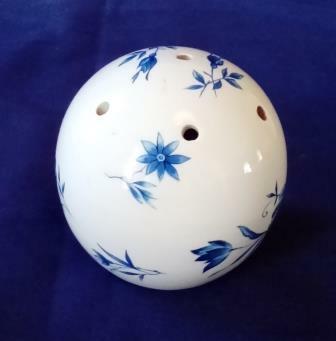 Blue and White English Pot Pourri Ball. 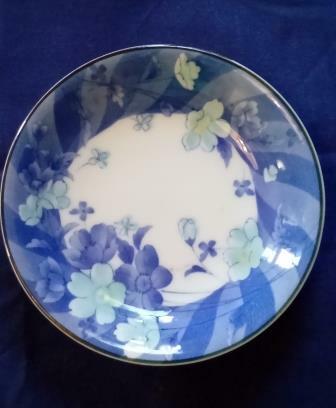 Blue Trinket Dish Floral Pattern. 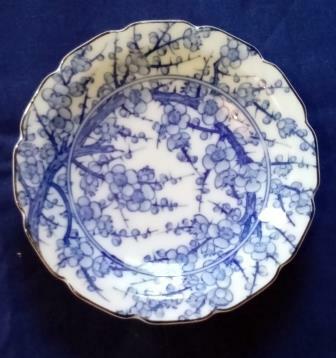 Small Blue Trinket Dish Floral Pattern. 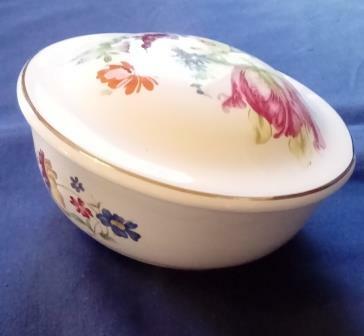 Floral Pattern Trinket Bowl with Lid. 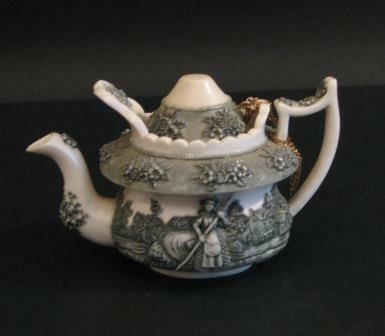 Title: Nini Teapot for Trinkets- Promenade. Manufactured By: Nini - Japan. 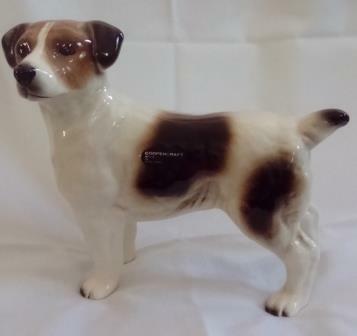 Manufactured by Lladro - Spain. 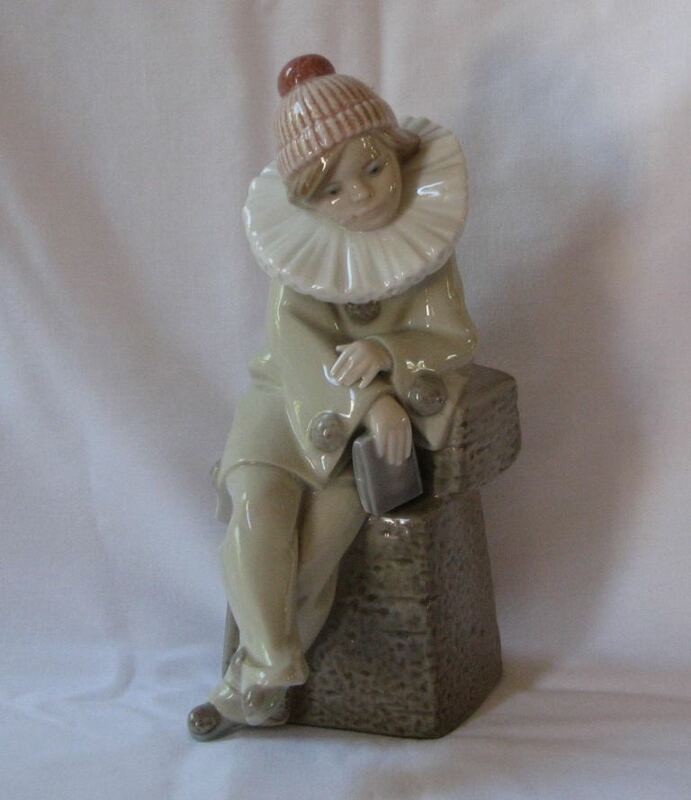 Detail: Lladro # 5203 "Nino Pierrot". 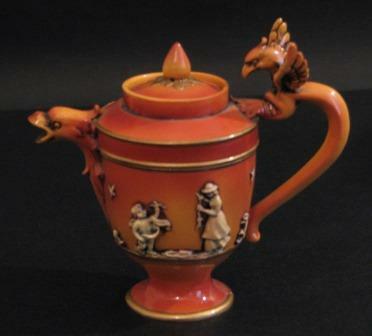 Sold For R 950.00 Inc Vat. 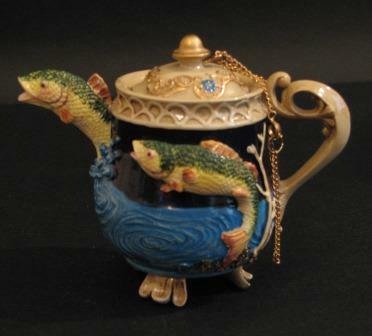 Title: Nini Teapot for Trinkets - Gone Fishing. 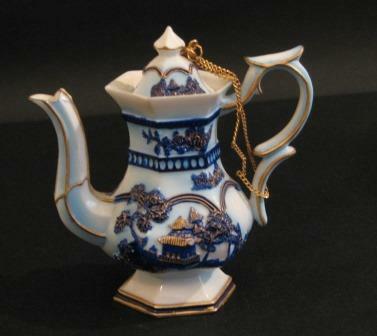 Title: Nini Teapot for Trinkets - Chelsea. Detail: Markings of 2A China on Base. 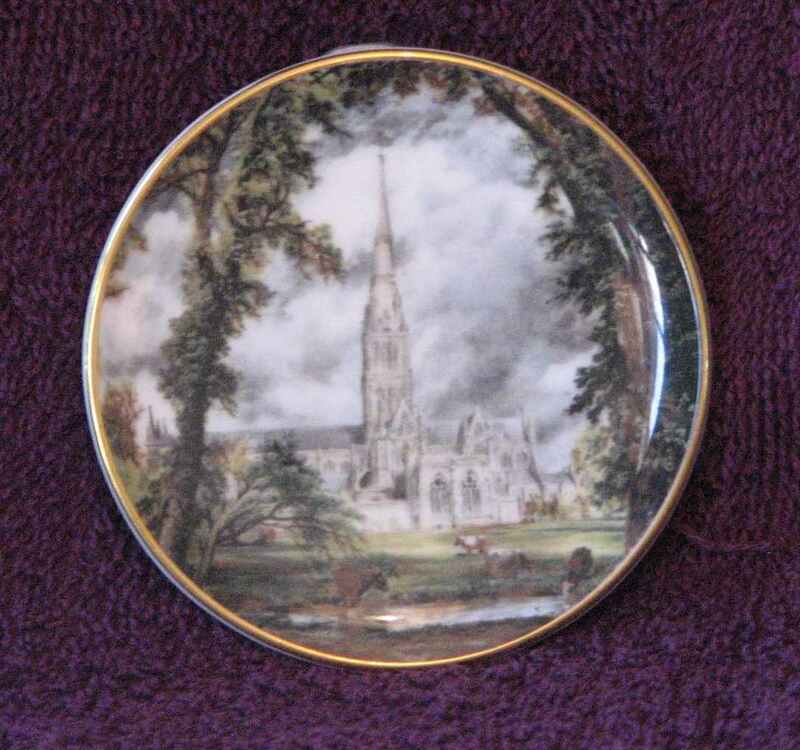 James Kent Dish - Square. 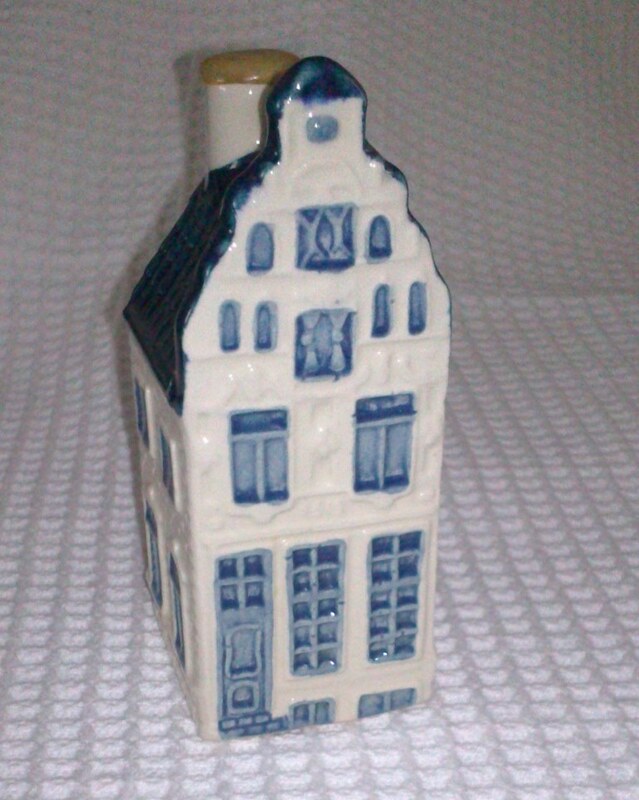 Delft Miniature House / Single House. 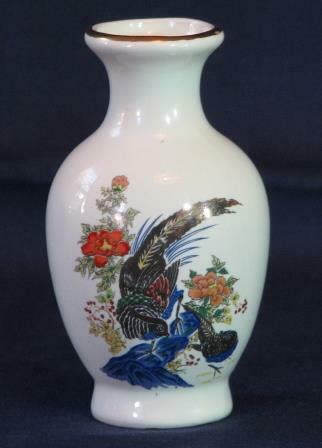 Floral Design with Pheasant Miniature Vase. 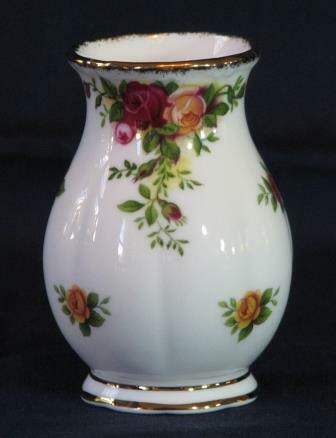 Description: Miniature Vase with Floral Design, gold trim. 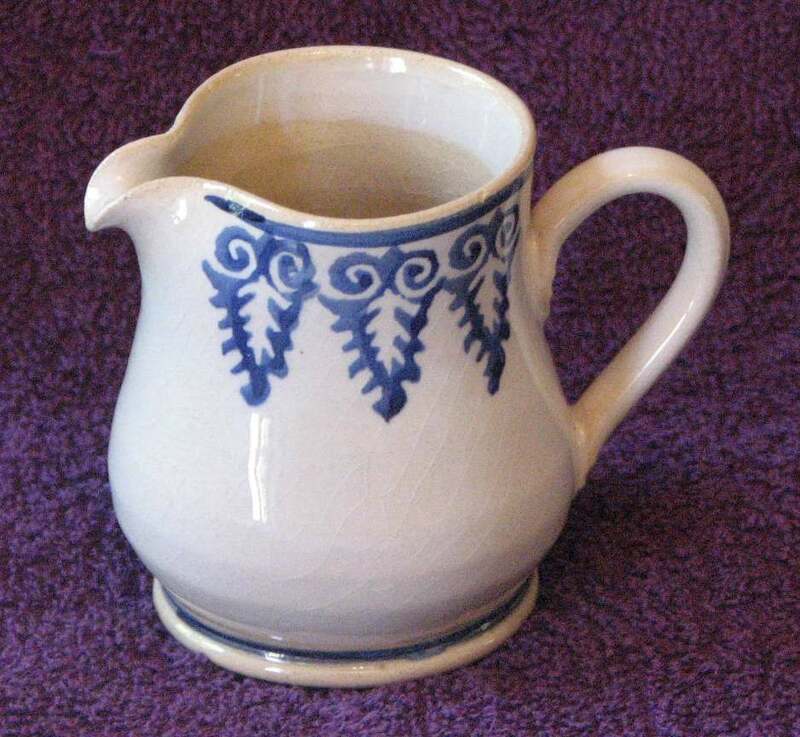 Sold For: R 60.00 Inc Vat. 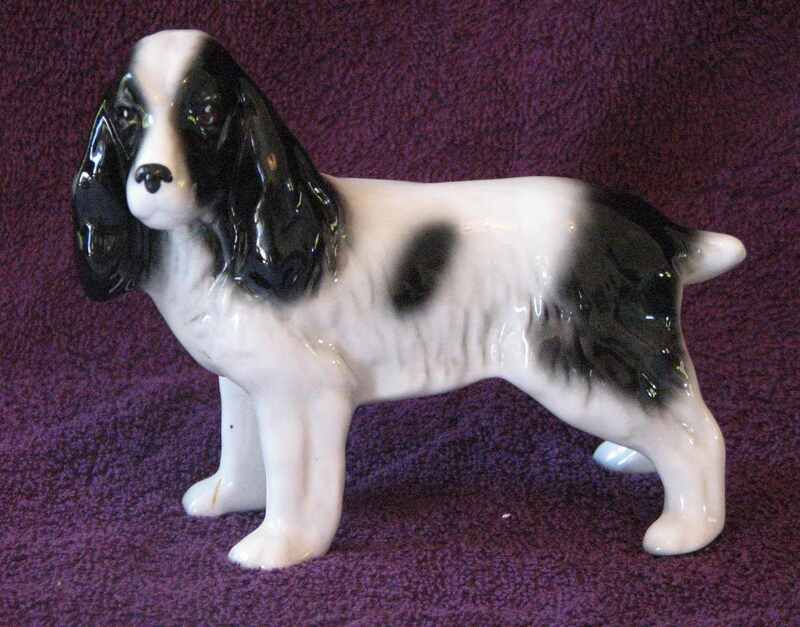 Description: By Vermont Number 2541. 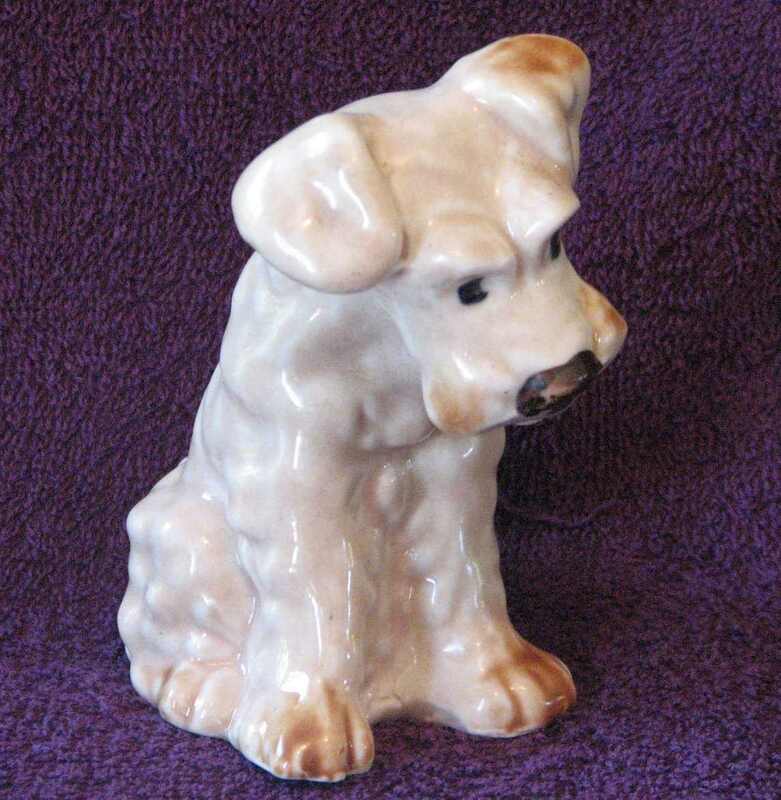 Sold For : R 40.00 Inc Vat. 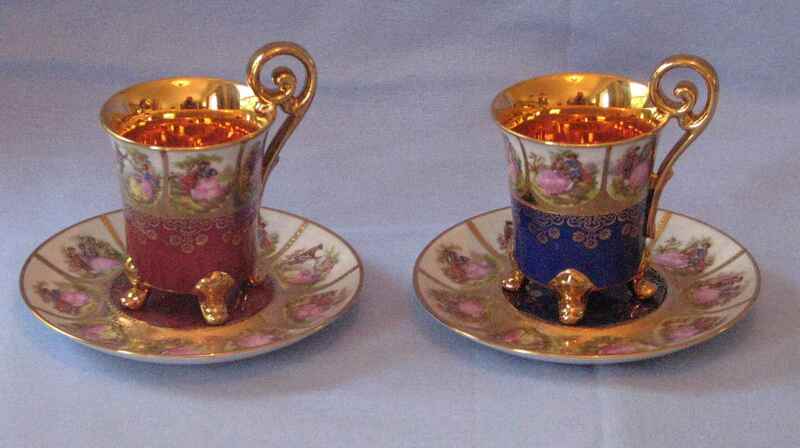 Bavaria Tea Cups, Blue and Red pair. 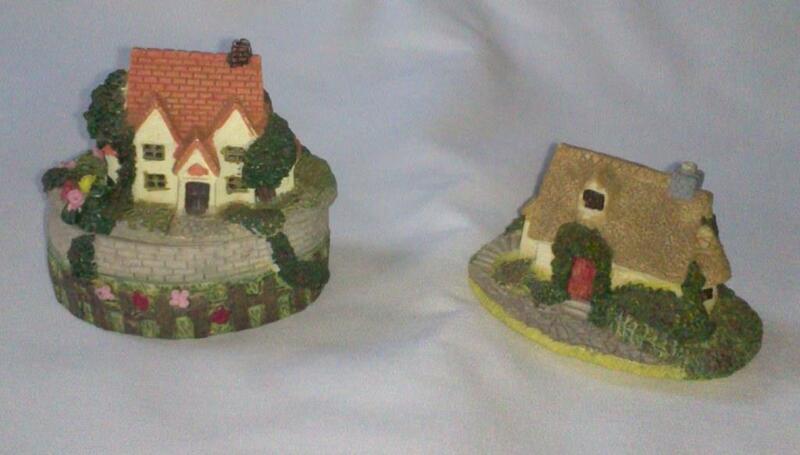 Price R 160.00 Inc Vat for set of two. Manufactured By: Made in Australia. Sold For: R 300.00 Inc Vat. 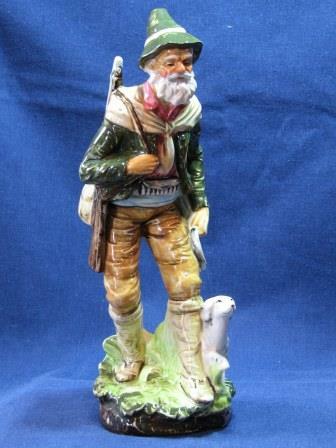 Detail: Old man with rifle and dog. 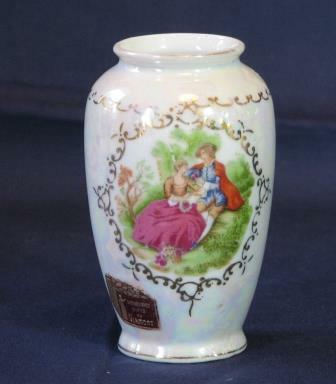 Sold For: R 210.00 Inc Vat. 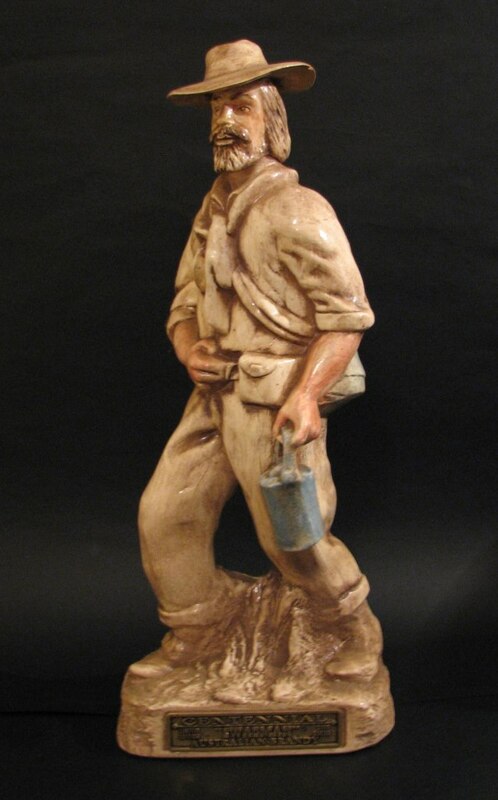 Detail: Old man with wood and axe. 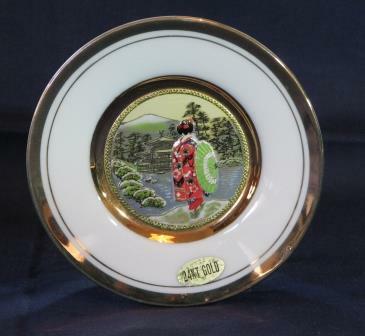 Title: Geisha Girl - Chokin 24ct Gold Rim Plate. 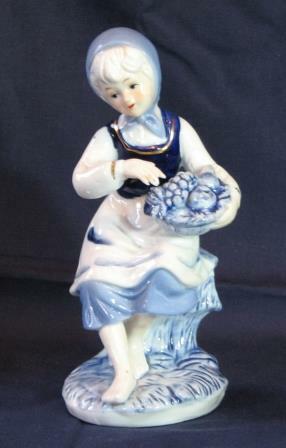 Title: Girl with fruit Figurine. 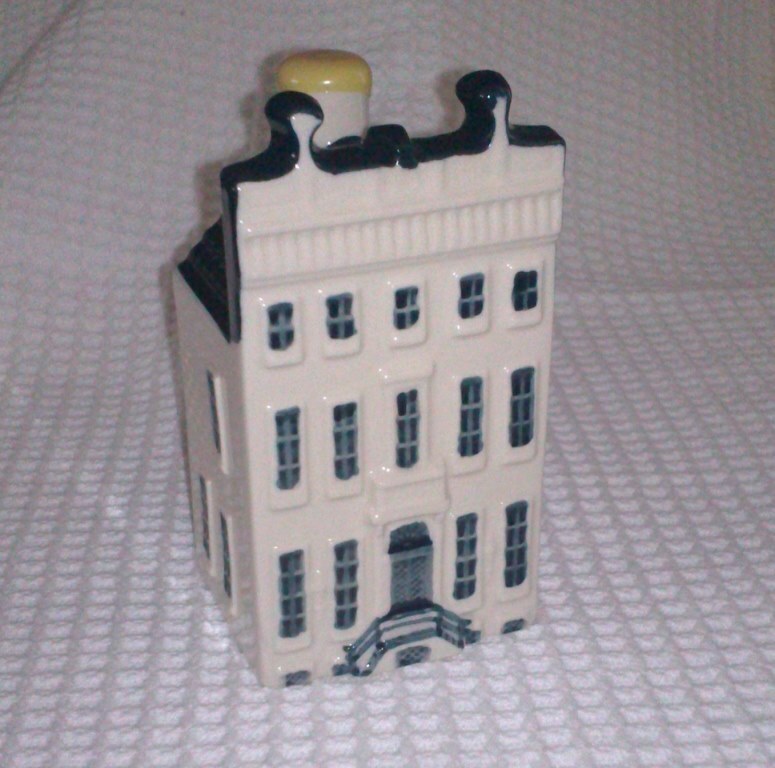 Title: Delft - KLM House. 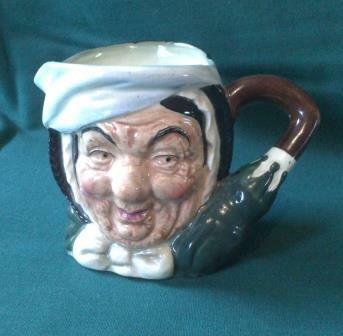 Sold For: R 130.00 Inc Vat. 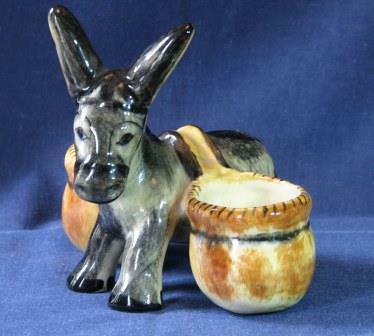 Manufactured By: Nicholas Mosse Pottery. 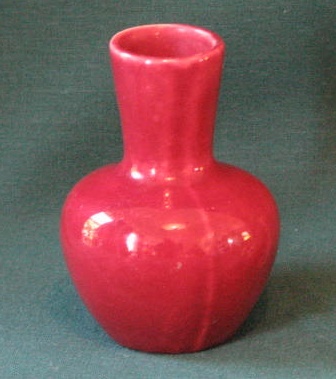 Sold For:R 75.00 Inc Vat. 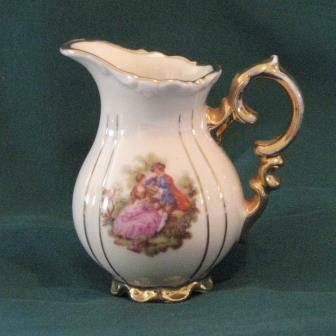 Title: Miniature Antique Jug - Gold Trim. 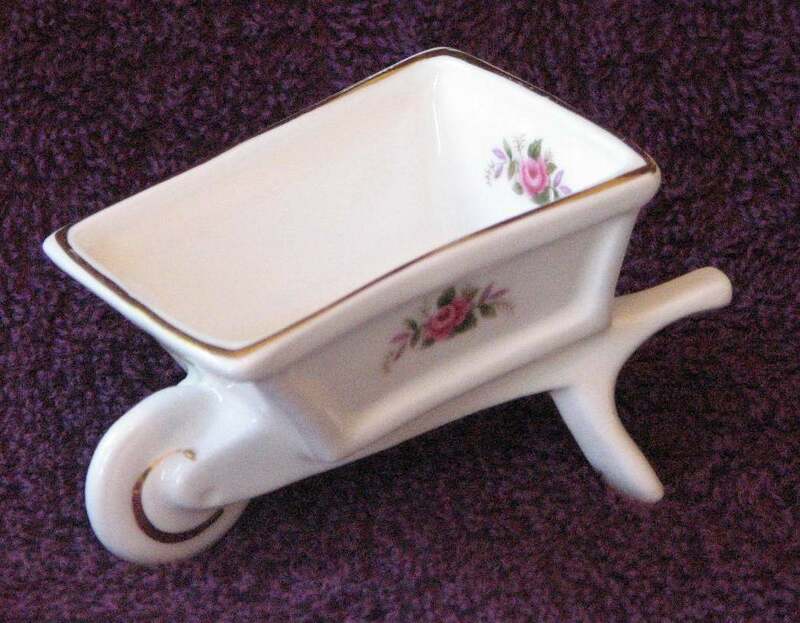 Sold For: R 35.00 Inc Vat. 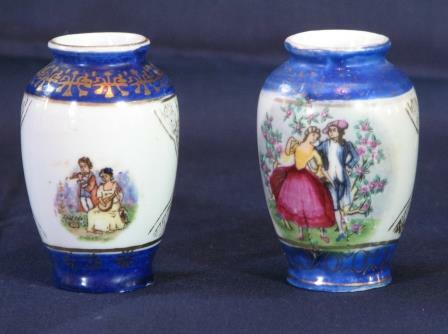 Miniature Blue and White China Vases. 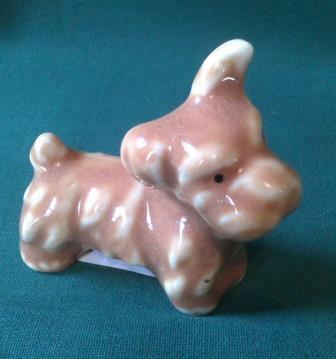 Sold For: R 50.00 Inc Vat for set of two. 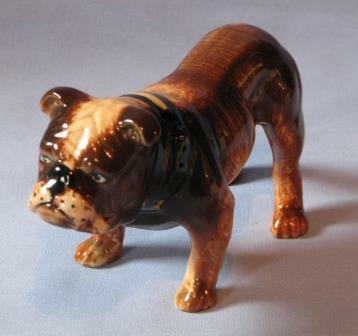 Description: Made In England, mark on base = 66 LA JA. 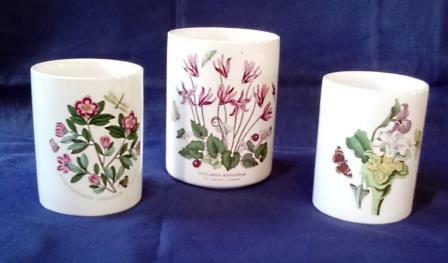 Set Of 3 Ceramic Jars. 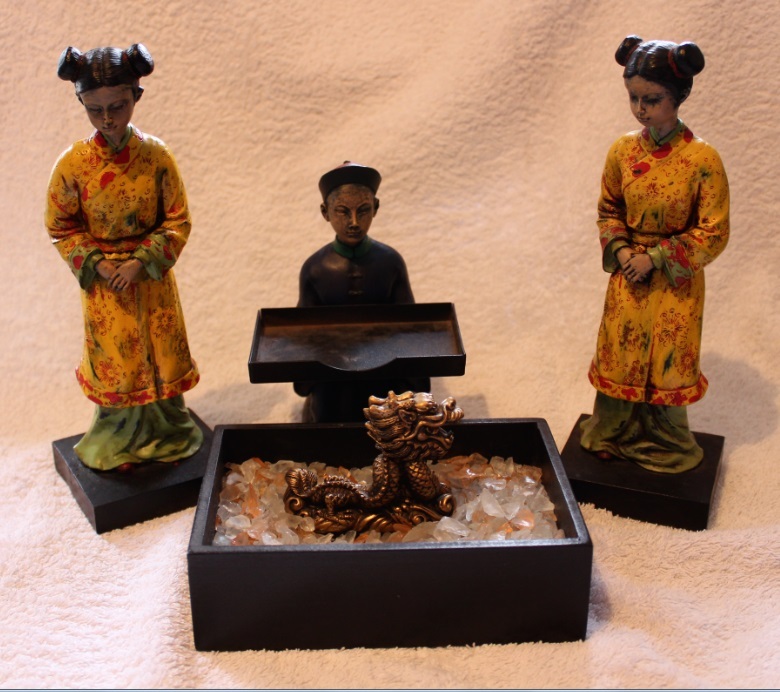 Sold For: R 275.00 Inc Vat / Set of 3. 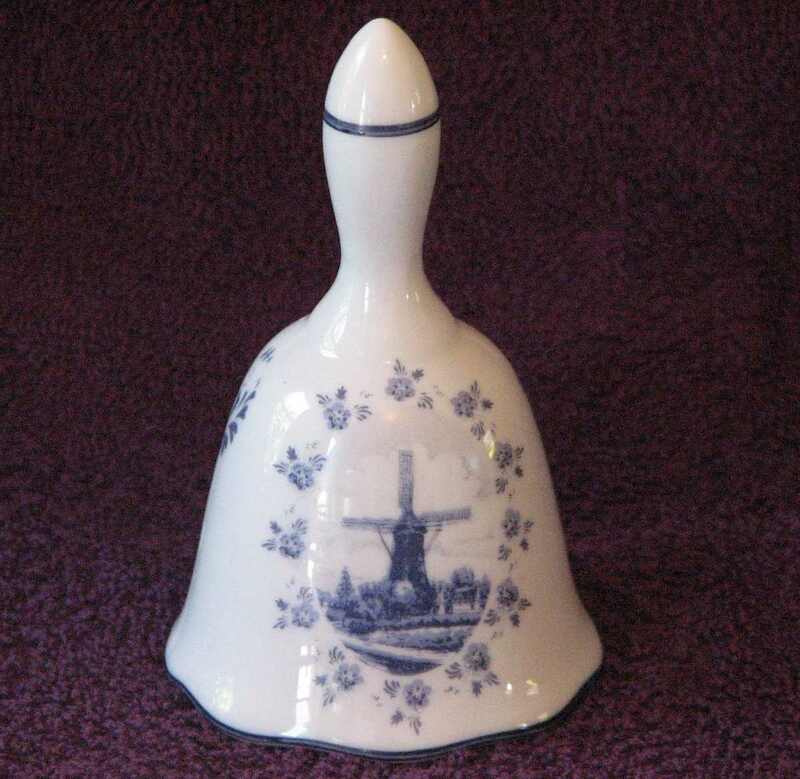 Manufactued By: Delft Holland, Oude Molen Fabriek. Price R 140.00 Inc Vat. 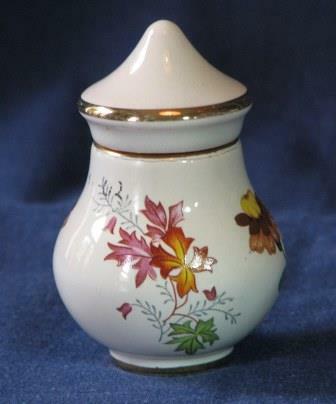 Title: Miniature Ceramic pot with lid floral. 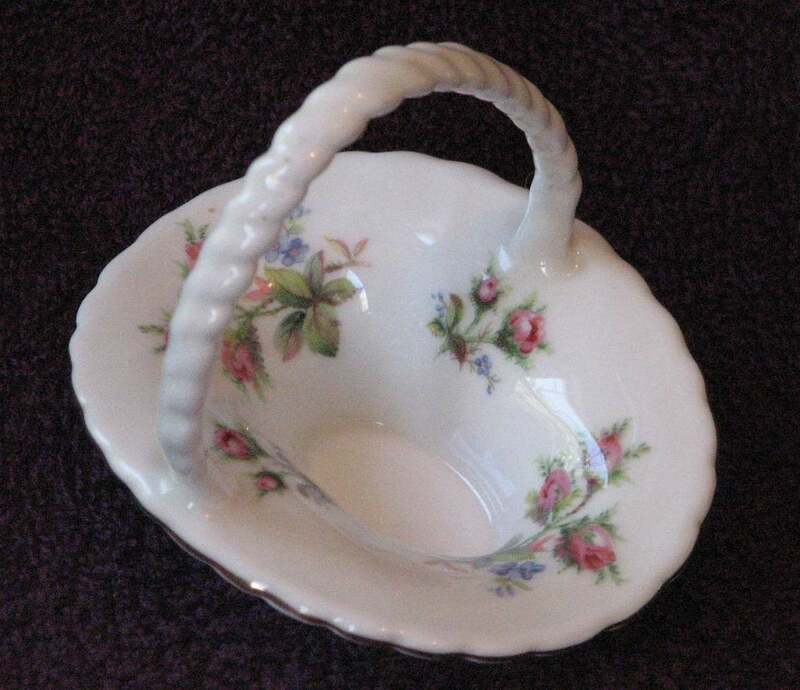 Detail: Floral design Trinket Pot. 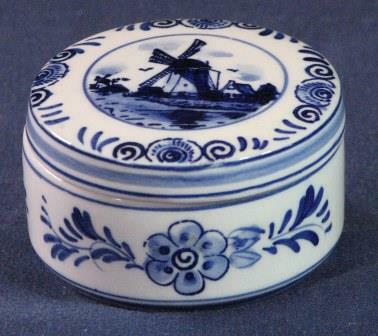 Manufactured By: Delft Holland, Oude Molen Fabriek. 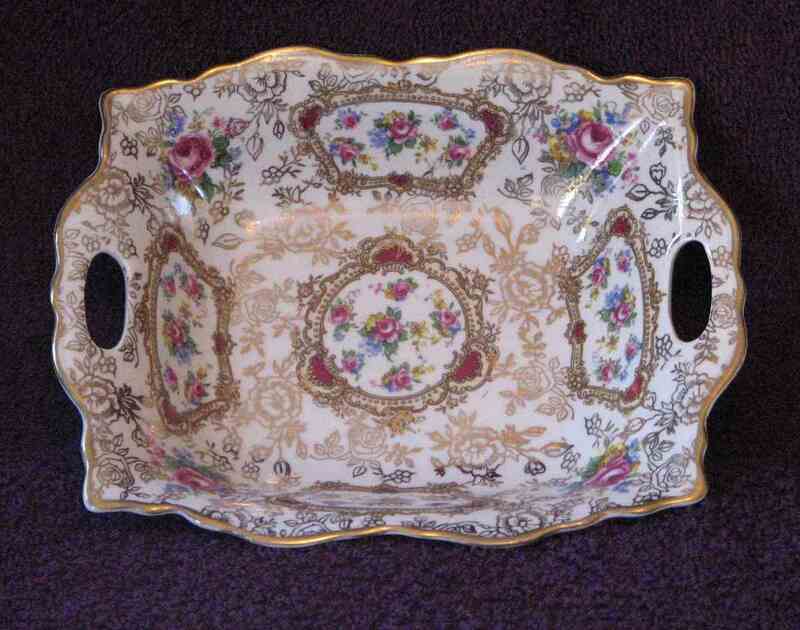 Sold For: R 155.00 Inc Vat.